The crew over at Sports Illustrated and CBS Sports released updated bowl projections this week. Please for the love of everything sacred and holy destroy either of those teams!!! If LSU is in the Fiesta Bowl, I'm finding a way to go to that game. 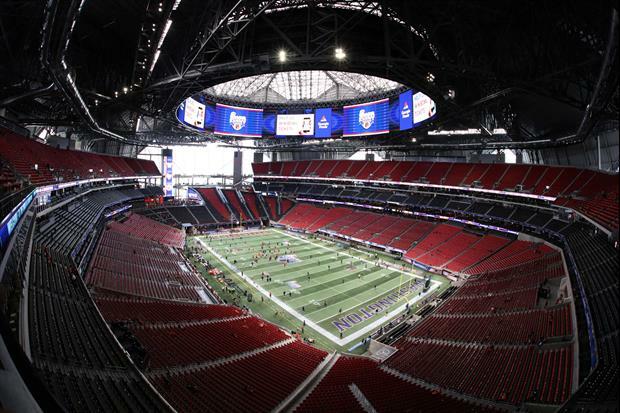 I hope we play in the Peach Bowl... but LSU has been allergic to playing in Atlanta for anything. dumb statement. winning the fiesta bowl is a WIN. whens the last time LSU played in the fiesta?? I'll wait for your response. You'd probably rather LSU play FSU in the belk bowl, ya know, cause its FSU. you realize that UCF has not lost in almost 2 years and mutilated Auburn last year (who btw won the SECw). It would be an honor to be the team that put UCF to bed for the next 20 years. If we beat UCF we only beat UCF. If we lose to UCF we lost to UCF. No win here. Yeah those little scamps need to have a message sent to them! EXACTLY... Sugar has guaranteed SEC vs Big-12 tie-ins. Peach does not. Fiesta Bowl would be so lowly attended. I disagree. LSU travels well, and to my knowledge, LSU has NEVER played there. I think LSU would easily sell their allotment due to the novelty. Whoever we may play, just win Tigers. New Years 6 would be a successful season and point to build from.